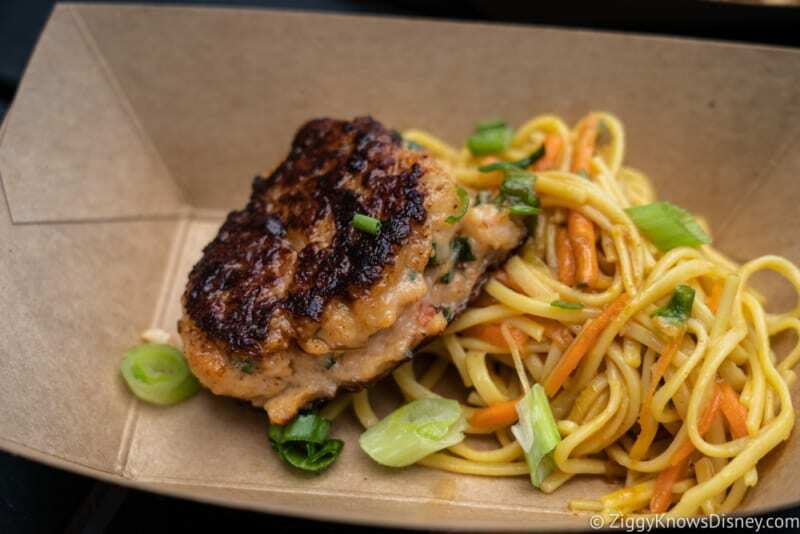 This is the second year in a row that Thailand is back at Food and Wine, and we’re really looking forward to it because it was one of our absolute favorites last year! 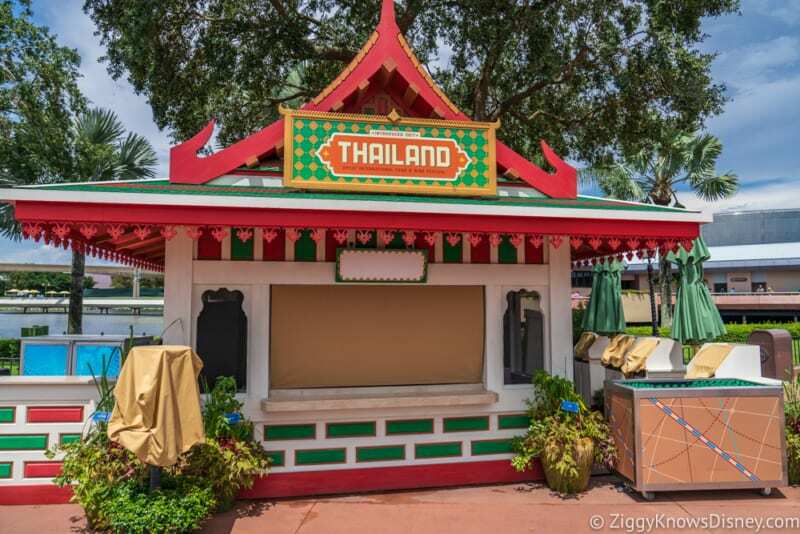 The Marinated Chicken with Peanut Sauce, Seared Shrimp and Scallop Cake and Red Hot Spicy Thai Curry Beef are all back and we can’t wait to try them so let’s get into our Thailand Review for the 2018 Epcot Food and Wine Festival! 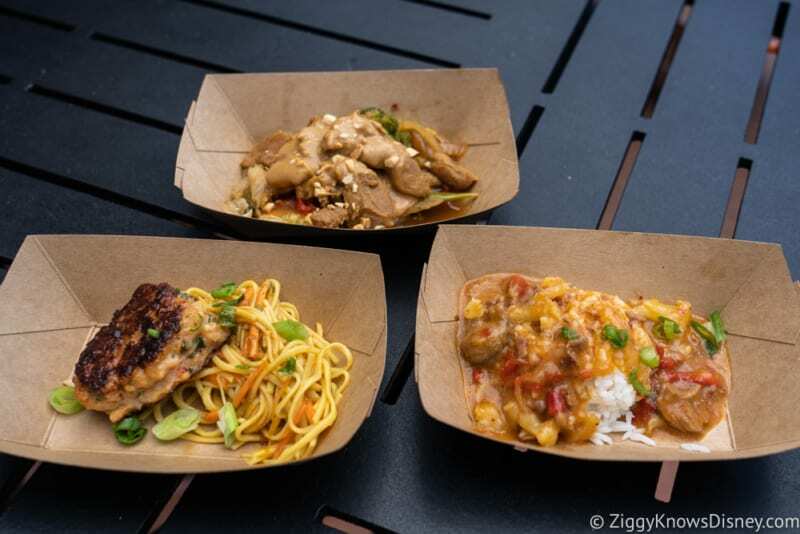 Not too much is different from last year’s menu in Thailand, all three food items are the same with the Marinated Chicken with Peanut Sauce, Seared Shrimp and Scallop Cake and the Red Hot Spicy Thai Curry Beef all returning. They only difference is a 0.25 cent price hike on the chicken and seared shrimp and scallop cake. This was ok. I’m usually a fan of a Thai peanut sauce, but this wasn’t as good as usual. The portion size was decent, though last year was much more abundant. The chicken was cooked fine, but the peanut sauce itself was a bit too salty and almost had a fishy taste to it which was probably because of the oil used to cook it. It also turned out being a bit watery too. We just weren’t feeling this dish that much and it was a disappointment since we loved it last year. Anything made with shrimp and scallops is going to be a hit in my book and this is no exception. The cake is so moist that the juices flow right out when you break into it. Cooked perfectly! It’s also nice that there’s not really much filler inside and you taste lots of shrimp and scallops. Plus the noodles they give you are amazing too! They are served cold and have a wonderful lemony, zesty taste to them. I could eat a huge pile of them no problem! 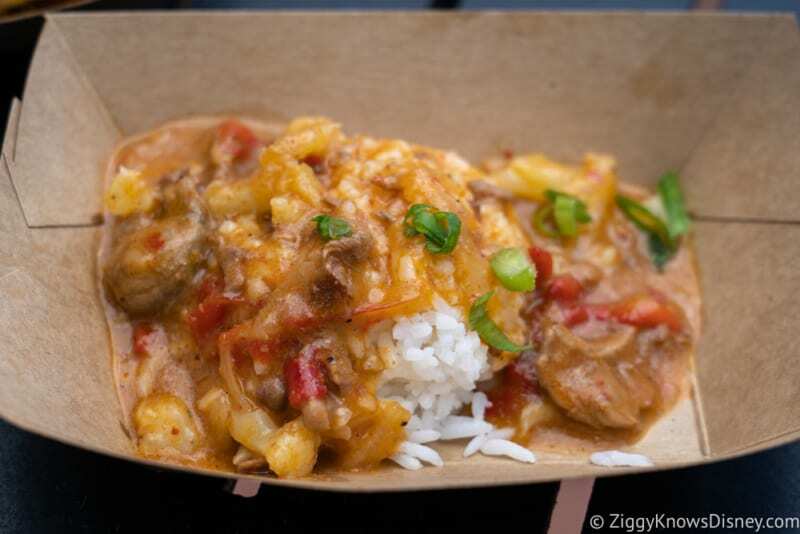 Definitely a must-try and one of the best seafood dishes at the festival! Another great snack from last year is back and we were very happy about that! 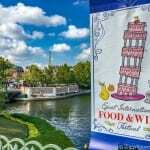 If you like spicy food then this has to be on your list of must-try snacks at Food and Wine. 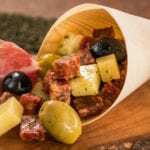 All of us love spicy food and we felt the heat, so just be prepared if you have problems with the heat. The beef is very soft and tender and mixed into the curry sauce, and then poured on top of a bed of white rice. It’s all about the sauce really and that’s what makes this dish. Not really the best thing to eat when the sun is blazing out but delicious all the same. A little disappointed in the portion size as last year they gave you more beef, but hopefully the person serving today was just a little light with the spoon and they give you more next time. Thailand was still good this year, but not nearly as Must-Try as it was last year. The Shrimp and Scallop Cake was incredible again and the Thai Curry Beef was really good too, thought the portion was less than before. 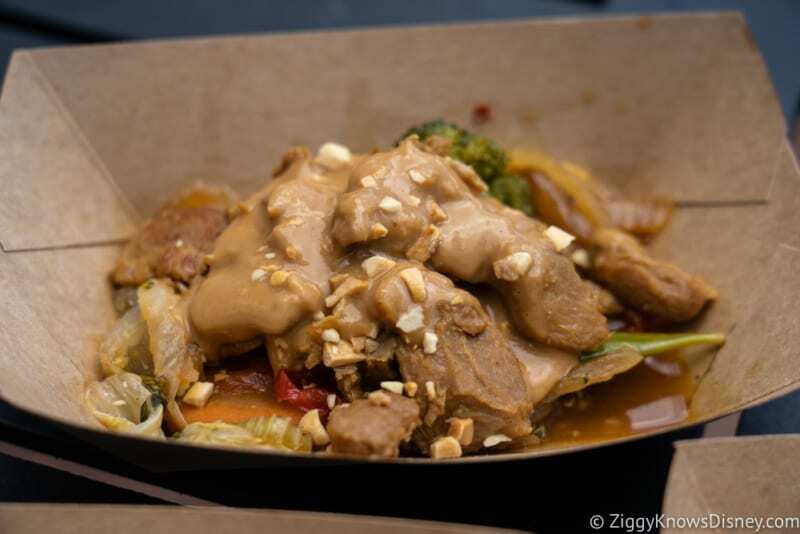 The Chicken with Peanut sauce was a little disappointing too and not something we have to get again. I’d just stop for the Shrimp and Scallop Cake and the Beef if you are a huge spicy fan, and then be on my way. Which is your favorite item? Which do you still want to try?